This year, during the course of the Gurta Gaddi celebrations of Guru Granth Sahib, let us acknowledge and admire the role of the Sikhs from the Deccan region. Nanak Singh Nishter is the fourth generation descendant of one of the fourteen Risaldars -head of the army unit of Maharaja Ranjit Singh, who has had the privilege of imbibing since childhood, oral history from his parents and other elderly relatives. His grand father Sardar Sohail Singh was the inherent of this post from his forefathers as this was a hereditary posting. Over the years, in order to lend credence to his oral history knowledge, the author has studied the work of several historians, delved through archives in Hyderabad and Nanded and referred to many unpublished manuscripts. This is perhaps the first authenticated account of who are Deccani Sikhs, where they came from and what is the historicity of some of their social and religious customs. The word Deccani, though used derogatorily by some sections of Sikh society, is simply the identification of Sikhs living in the region known as Deccan. The word Deccan means the direction South in the Urdu language. In the undivided Indian sub-continent, there were two Hyderabad cities. One was in the western Sind province and the second one was in the southern Hyderabad province. The nomenclature used then was Hyderabad Sind and Hyderabad Deccan. The city of Hyderabad was the capital city of the erstwhile Nizam’s dominion of Hyderabad. The original inhabitants of India, settled in this part of Hyderabad were called Deccani. As such, Sikhs were labelled as Deccani Sikhs, Pathans were called as Deccani Pathans and so were other peoples. This was nothing but a geographical identity of a people who had changed their habitat. Any person, scholar or religious authority, directly or subtly attempting to undermine these migrated people to be different from the original race and religion, just because they do not speak Punjabi language or their women-folk do not wear the Punjabi dress is doing nothing but gross injustice and discrimination. Past and present historians –Sikhs and non-Sikhs have overlooked the unique example of the presence of the Sikh army in this part of then Indian sub-continent, which had come on a mission of friendship and peace. There was absolutely no obligation on the part of a Sikh ruler to send his Sikh army to help a Muslim ruler to maintain his internal security, thousands of kilometres away, endangering the lives of the army men and making them leave behind their families and completely alienating themselves from their homeland. Means of conveyance and communications were virtually non-existent. This exemplary humanitarian gesture in those times has not been recognised by scholars, not even by Sikh scholars. The Sikh Army of Maharaja Ranjit Singh coming to Deccan Hyderabad at the call of the Nizam was the precursor of the modern-day Peace Keeping Force. They were the peace corps of the 19th century. The present day Deccani Sikhs are a living testimony of this hitherto unexplored facet of Sikh history. Despite unfavourable circumstances, the Deccan Sikhs are proud custodians of Sikhi in its totality for the last century and a half and serve as an example for other Sikhs to emulate. The story of the Sikhs from the Deccan does not end here. It actually begins. The story needs to be retold in all its glory. This monograph should serve as a first step for much more that needs to be done in this area of Sikh studies. The Sikhs are residents of Hyderabad even much before the historic landmark of Charminar, which was constructed in 1591. Around the year 1512, during one of his Udasis-world journeys, Guru Nanak Sahib, while coming from Nanded and Bidar stayed in the walled city of Golconda, even before the city of Hyderabad was founded. He journeyed through modern-day Andhra Pradesh, Tamil Nadu, Rameshwaram and from there he travelled to Sri Lanka. Guru Nanak Sahib preached humanism and spiritualism and left behind considerable number of Sikhs i.e., disciples. He did not segregate them as followers of a separate religion, nor did he set-up a particular discipline. Subsequently, many lapsed back in to their original Hindu and Muslim folds. However, there were others, who were mesmerised and deeply influenced by the Guru’s teachings and continued their search for salvation. One such glorious example is that of Bhai Saheb Singh from Bidar -now in present-day Karnataka,about 150 kilometres from Hyderabad city. He was one of the first Five Beloveds (Punj Piyaras) of the Sikh nation who were administered Amrit (the Sikh baptism) by Shri Guru Gobind Singh Ji in 1699. The Tenth Master, Guru Gobind Singh stayed for a long time at Nanded, about 280 Kms from Hyderabad and breathed his last there in the year 1708. During this period a large number of the local populace embraced Sikhism by taking Amrit; and settled in Nanded and its vicinity. Most Sikhs who had come with Guru Padshah were sent back to Punjab with Baba Banda Singh Bahadur to strengthen the Sikh force. To say that Sikhs who had come with Guru Sahib, stayed back forever does not sound plausible as there was no reason or unfinished task for them to stay back, though it may not be wrong to say that a very miniscule minority may have stayed back. Nawab Sikander Jah, the third Nizam of Hyderabad was the ruler of Hyderabad from 1803 to 1829. There were 16 districts in his kingdom including the areas of Sikh holy places of Nanded -now in Maharashtra and Bidar -now in Karnataka. In the administrative system of the Nizam, revenue collection was through Jagirdars, Desmukhs and Samasthans. These were influential people of communities who were allotted a large piece of land in lieu of their work of collection and remission of revenues to the King’s treasury. They were entitled to keep certain portion of revenues to meet the expenditure of their forts and army. Around 1830, the exact period not being still known, most of these revenue collectors became unaccountable, avoided depositing the revenues to the exchequer and rebelled against the Nizam. Arabs from Arabian countries, Siddis from Africa, Rajputs, Rohellas and Pathans were recruited from north India, but they all failed to deliver results. At the instance of Maharaja Chandu Lal, who was the Nizam’s Prime Minister and a devotee of Gurughar –the Sikh fold, sometime during 1822-1843, the support of Maharaja Ranjit Singh was sought. A request letter and presents were sent to the Lahore Durbar. In the fourteenth chapter of his book, on page 267, “Maharaha Ranjit Singh” published in 1933 by the Hindustani Academy of Uttar Pradesh at Alllahabad, Prof. Sitaram Kohli of Government College, Lahore, writes “In the year 1826 one Dervesh Mohiuddin an ambassador of the Nizam of Hyderabad, came to the Durbar-i-Lahore and on behalf of the Nizam presented four high-pedigree expensive horses, one unmatched marvellous Canopy, one double-edged sword, one canon and several rifles. Apart from this, valuable presents were brought for Prince Khadag Singh”. This grandiose canopy –a historical testimony of Sikh-Muslim relations was preserved by the Sikhs and displayed on all important occasions till the Indian Armed forces reduced it to ashes when they stormed and attacked the holiest of holies Darbar Sahib, aka Golden Temple, in June 1984. From 1829 to 1857, Hyderabad was under the regime of the fourth Nizam, Nawab Nasir Uddoula. In 1932, after completing a four months arduous journey, a 1,400-strong Sikh army arrived from Lahore in Hyderabad. The army consisted of fourteen Risalas –army units –each comprising of a 100 personnel and each Risala headed by a Risaldar. The chief and other sub-ordinate rank officers were on horseback and the soldiers were on foot. They were first stationed outside the walled city of Hyderabad near the Mir Alam Tank, which place till today is famously known as the Sikh Chawani –the Sikh Cantonment. During the course of their revenue arrears procurement operations from the rebellious and oppressive Jagirdars, many lost their life and limb. They, however, successfully completed the mission for which they were sent from far-off lands. While doing so, they ably maintained their social and religious attitudes and behaviour. In gratitude of their sacrifice and in appreciation of their services, all Risaldars were honoured as courtiers with chairs in the court of the Nizam. They were also offered vast lands in Nirmal town of Adilabad district of present day Andhra Pradesh as Jagir, which they refused, as they wanted to return back to their homeland. The fall of Maharaja Ranjit Singh’s kingdom and slavery of the Sikhs to the British prevented them from returning to Punjab. The Nizam also wanted to retain them and he offered them lucrative incentives and honours. This is a hitherto unexplored facet of the life of Sikhs from this region. Devoid of any practical option, the Sikh army personnel and their leadership decided to stay put. The decision made, they decided to marry locally as they were far away from their ancestral lands. Without exception, all were staunch believers and practitioners of Sikhism. Local women were hesitant to partake of Amrit. 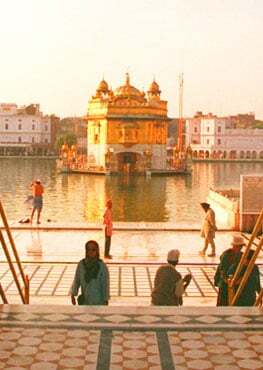 A practical compromise was reached without compromising the core values of Sikhism, which they guard to this day. There is custom of Chouke Chadhna –first cooking activity in the kitchen of the household an Amritdhari lady marries into. This is repeated even after every child birth. In this case, Amrit is prepared by an Amritdhari Sikh by reciting Jap Ji Sahib, stirring water and sugar puffs (patashe) with Kirpan in a bowl, Kadah Pershad is prepared and after the Ardas (supplicatory prayer), the lady enters the kitchen. After marrying the local women, Sikh army personnel resorted to similar procedure before consummating their conjugal rights. This precondition is still strictly adhered to and no Anand Karaj is performed without the Amrit ceremony, irrespective whether the marriage is inter-caste or intra-caste. With every Risala –the Sikh army unit, there used to be a Gurdwara, the Risaldar used to be in charge of its administration and it was part of his official duty along with other governmental duties. A soldier used to be deputed as the priest -Granthi, who not only performed service –Sewa in the Gurdwara Sahib but also taught Gurbani in Gurmukhi script enabling the learner to complete the full paath of Shri Guru Granth Sahib and Shri Dasam Granth Sahib. This religious education was compulsory for every child and that is the background for the fluency to read Gurbani in Gurmukhi script of every Deccani Sikh. Generally, language belongs to the land not to a religion. As the atmosphere and opportunities for speaking the Punjabi language were inadequate, they lost touch with it and became conversant with the local language, particularly Urdu, which was the official language of the Deccan. Even today, the males wear all the mandatory Five Ks. Their women folk continue to wear local dresses and speak the local languages. All the Deccani Sikhs strictly follow their religious values and are Amritdhari, Keshadhari and Kirpandhari, commanding respect for their religiosity amongst other communities. The Sikh Rehat Maryada is strictly adhered to while partaking meat and only that meat which is Jhatka meat is consumed. They do not trim the beards and moustaches; do not consume meat or chicken slaughtered in Muslim fashion, as prohibited in the Sikh Rehat Maryada. The entire community does not recognise the polluted concept of so-called Sehajdhari Sikhs. This particular incident will provide a deep insight into the character of the Sikhs from the Deccan region. In Nanded, once the Collector –the Taluqdar organised a party in honour of the Divisional Commissioner –the Subedar and asked Ragis to recite the Persian language Gurbani, as he was fond of that language. When the Deccani Ragis -Bhai Tahal Singh, Bhai Jagat Singh and Bhai Sardool Singh -all employees of Gurdwara reached the venue, they were asked to sit and recite on the floor, while officers were occupying the chairs on a platform. The Ragis politely refused to recite Gurbani while the dignitaries were sitting on a higher pedestal, above the Gurbani singers, saying that it was disrespectful to Gurbani to do so. All the dignitaries present at the function, appreciated the stand taken by the Ragis, all came down from their chairs and joined the audience, revered and enjoyed Gurbani with piety and devotion. These were the Ragis, who had been sent in the year 1928, at the age of 12, 10 and 8 years to Gurmat Vidyalaya Taran Tarn Sahib, Amritsar for three and a half years’ learning and training at the expense of the Nizam’s Government. The Deccani Sikhs followed most of the religious customs and practices which they brought with them from the Punjab of those days. This included the Parkash of Guru Granth Sahib and Dasam Granth Sahib. While Punjab did away with this practice after the Gurdwara Reform movement, this practice still continues in the Deccan. Interestingly, however, there are many practices which Punjab has forsaken but are sincerely followed by Deccan Sikhs. As required by Rehat Maryada and as was the tradition followed for centuries, Deccan Sikhs do not suffix their names with their gotra or castes. They do not discriminate an Amritdhari Sikh on the basis of his or her caste as was prior to baptism. For marriage purposes, it is the overall status of the individual and the family which is taken into consideration and not the caste lineage. When the Sikh army had arrived in this region, all the Risalas had brought with them the volumes of Shri Guru Granth Sahib and Shri Dasam Granth Sahib. As a practice they used to carry these volumes during all their military expeditions. The Deccani Sikhs have both these volumes side by side in every Gurdwara. 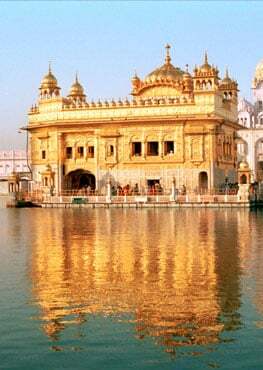 They read and take the Order of the Day -Mukhwak of Guru Granth Sahib and of Shri Dasam Granth Sahib in ever congregation, but they never bow their head in obeisance before Shri Dasam Granth Sahib. They bow their head only before Shri Guru Granth Sahib as their Guru and none else. To criticize this is nothing but ignorance of a traditional practice and custom. Bhai Kahan Singh Nabha was an unmatched scholar of Sikhism, whose magnum opus -Mahan Kosh –the first Encyclopaedia of Sikhism in Punjabi is an unparalleled reference work, even to this day. He was guide to German scholar, Max Arthur Macaliffe who wrote the exhaustive popular six-volume work, “The Sikh Religion”. History records that Bhai Sahib visited Nanded in 1884. In the year 1929, he was sent by Chief Khalsa Diwan to depose before a judicial enquiry by British Judge Mr. A. H. Cuming, loaned by the Government of India. There was a land dispute of Gurdwara Maal Tekdi Sahib of Nanded which eventually took a communal colour between Deccani Sikhs and Muslims. In this famous case, the decision went in favour of the Sikhs. Apart from this reference one does not find any more contribution by Bhai Sahib Kahan Singh about his interaction with Sikhs in the Deccan. May be as he was not a historian, he did not write as such, but there were other chroniclers, who were aware of his association with this land dispute; however the author could not trace any detailed writing by any one, giving graphic description about the case and that of the Deccan Sikhs. Mr. Hankin was the Director General of Police and Prisons for many years in the state of Hyderabad. In the Gurdwara Maal Tekdi case, 9 years after his leaving Hyderabad, evidence was taken on Commission in U.K. In his official capacity, he was the Chief Controller of the affairs of the Sachkand Gurdwara. In this last days, when Mr. Hankins was bedridden and dying, he sent a message that an Akhand Path be held on his behalf at Takht Hazur Sahib with a prayer for pardon for any mistakes he may have committed during the course of his service of Guru Sahib. It is said that amazingly, he left for heavenly abode exactly on the date and time of the Bhog of Akhand Path, immediately after the Ardas (supplicatory prayer). Such was his commitment, devotion and belief in Guru Sahib. He loved, honoured and trusted the Sikhs. During his tenure as head of the Police and Prisons department, a Jamaiyat-I-Sikhkhan (irregular army of the Sikh Force) was formed and placed under the command of the department. This force was disbanded after the Hyderabad state was annexed to the Indian Union in the year 1951. Thus the Deccan Sikhs and their families who were part of the force lost all their honour and privileges. Buddhism was born in India, but was driven out from its land of origin. Though Sikhism was born in the Punjab, Sikhs are an international community. Sikhs living in the Deccan region are willingly and gladly living there, maintaining high standards of Sikhi though this cannot be said about the Sikhs who have migrated to others parts of the world. Despite unfavourable circumstances, the Deccan Sikhs are proud custodians of Sikhi in its totality for the last century and a half and serve as an example for other Sikhs to emulate. The story of the Sikhs from the Deccan does not end here. It actually begins. The story needs to be retold in all its glory. This monograph should serve as a first step for much more that needs to be done in this area of Sikh studies.